I have met this lovely couple for an engagement portrait photo shoot few weeks ago and must admit it was a real treat. Although It was the beginning of January we've had lots of sun. I have asked them where they 've met as I am nosy and like to know "things" but also if possible love to go back to important places in peoples lives. 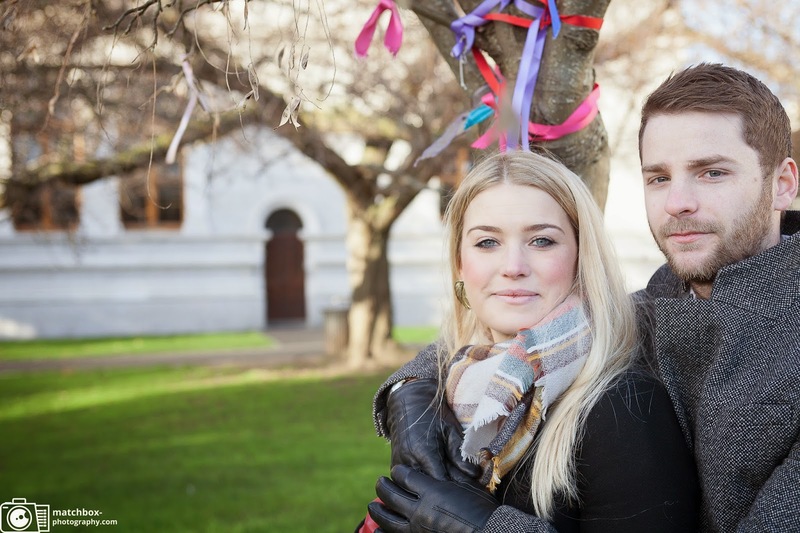 I was amazed with their story and because we spend few first moments in Trinity College (Dublin) Gardens I spotted this ribboned tree that was just standing there colourful in the middle of the winter and I thought perfect spot for my couple- so much of similarity. :) I can't wait to photograph your special day guys! It's going to be soo beautiful. ps. I do engagement photos for every couple that I have pleasure to do Wedding Day with ...please contact me to book a beautiful photo shoot in your special place!